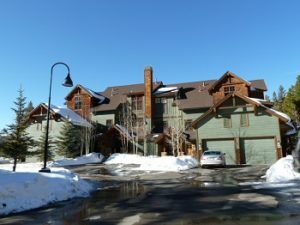 Seasons at Keystone Condo in is tucked into the woods just above the Snake River, steps from the Keystone Lake and moments to the ski slopes, it could not get any better than this in Keystone CO Real Estate. Seasons at Keystone Condo offers community hot tubs, is on the bus route and does not have a transfer tax. Built in 2002, this 32 unit complex is comprised of 4 – 1 bedrooms, 16 – 2 bedrooms, 8 – 3 bedrooms and 4 – 4 bedrooms. Some condos at Seasons at Keystone have Snake River views, a garage and most come with storage units outside the front door. Being able to walk to the Keystone Lake and Ice Skate in the winter or paddle boat and canoe in the summer is an added benefit. Surrounding Keystone Lake are other Keystone Real Estate complexes as well as some great dining options, Big Horn Steakhouse, Edgewater Cafe and Pizza on the Plaza to name a few. When looking for a Keystone Condo take a look at the condos for sale in Seasons at Keystone Condo in Keystone Colorado Real Estate. For additional information, and for a complete listing of homes, condos and Keystone Real Estate for sale, contact Justin and Krystal Knott at LIV Sotheby’s International Realty.